Oley McMichael helps put the lights on the Village Christmas Tree at Antwerp Village Green Way Park beside the Town Hall. The Chamber will hold a Tree Lighting Ceremony Thursday, December 1, at 5:30 PM, with the Antwerp School Choir. 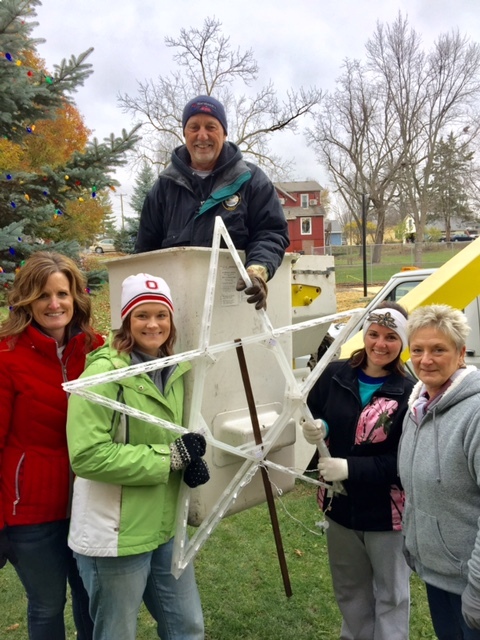 Shown (l to r) are Chamber members, Christy Delong, Audrey Feasby, Kelli Bradbury, and Jan Reeb. Come downtown Antwerp to enjoy the season festivities.